NieR: Automata was originally slated for late 2016, but was delayed until early 2017. The release date was finally announced today at PlayStation Experience: March 7, 2017, 12 days after the February 23 release in Japan. 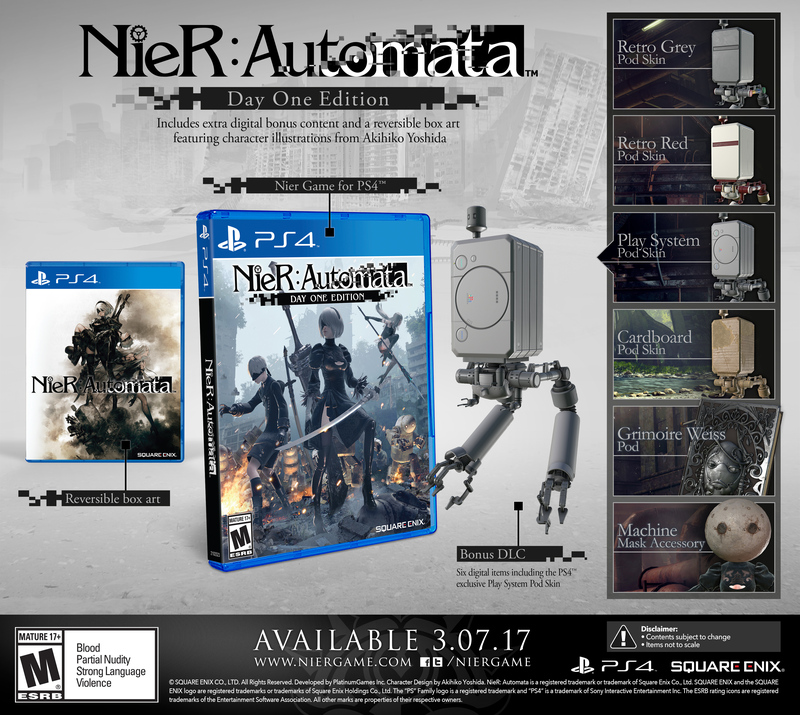 You can pre-order the Day One Edition for a reversible cover and DLC. The sequel to the cult hit Nier, a spin-off of the Drakengard series, is being developed by Platinum Games. I watched some videos of the original Nier and wasn't too impressed, but I'm going to play it sometime before the release of NieR: Automata, which I'm more optimistic about from not only the eye test but due to the developer. 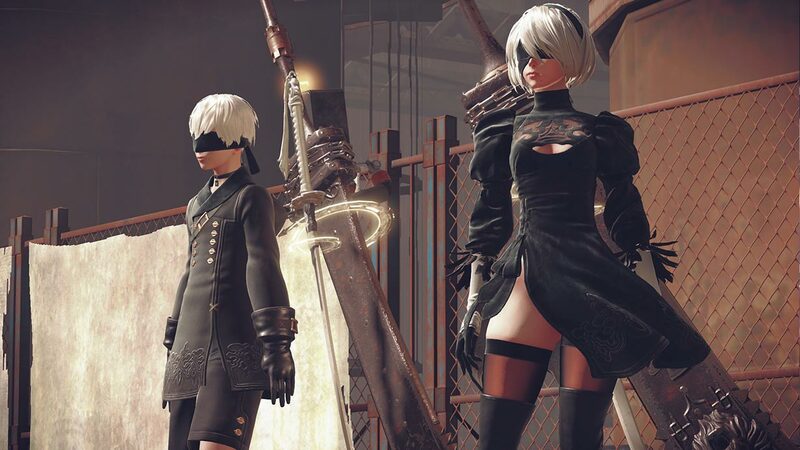 Cavia made the first Nier as well as the first two Drakengard games, but its next biggest work is probably Resident Evil: The Umbrella Chronicles and Resident Evil: The Darkside Chronicles. While I'm not as high on Platinum Games as most are, I'd play a Platinum game over a Cavia one any day of the week. The only Drakengard game I enjoyed was Drakengard 3, made by Access Games, which now that I think about it explains some of the craziness in that title. People don't like Zero for how mean and ruthless she is, but I love her for that very reason. Not only do I just love mean girls like her and Emily from Until Dawn, but I like the idea of playing someone who isn't a goody two-shoes fighting for justice (which is what perturbs me about Hitman). I hope this new chick is more like Zero, or that Zero makes an appearance.